Paris mushroomed in the thirteenth century to become the largest city in the Western world, largely through in-migration from rural areas. The resulting dialect-mixture led to the formation of new, specifically urban modes of speech. From the time of the Renaissance social stratification became sharper as the elites distanced themselves from the Parisian 'Cockney' of the masses. Nineteenth-century urbanisation transformed the situation yet again with the arrival of huge numbers of immigrants from far-flung corners of France, levelling dialect-differences and exposing ever larger sections of the population to standardising influences. At the same time, a working-class vernacular emerged which was distinguished from the upper-class standard not only in grammar and pronunciation but most markedly in vocabulary (slang). 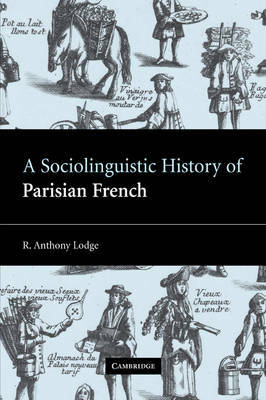 This book examines the interlinked history of Parisian speech and the Parisian population through these various phases of in-migration, dialect-mixing and social stratification from medieval times to the present day.